I won't drag this review. Either I like it or I don't, right? Yes, I do like it. It is like a sketch pen. I can draw anything on my face with it. It is not waterproof, but it doesn't wash off completely when splashed with water. It starts to bleed only when rubbed. I had to use cleansing oil to get it off completely. 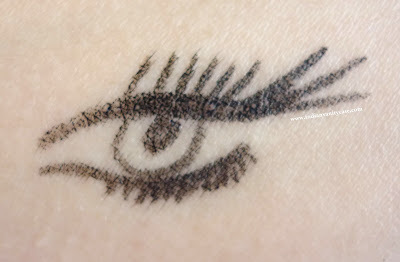 It is more stable than the Loreal Super Liner (click for review) because the felt tip is stiffer, so it makes lining eyes so much quicker and less nerve-wracking + you can easily get between the lashes. However, it's a little difficult to make a very pointy cat eye flick with it. I wish it was a tad thinner. A tad. But overall, a must-have for me. Concern: I hope it will not dry up too quickly. Wow looks nice & smudge free. .how would it compare to in2it gel eyeliner, i know it like comparing apple to oranges but which is easier to apply & lasts longer? Nice.. felt tip style is always easy to use. 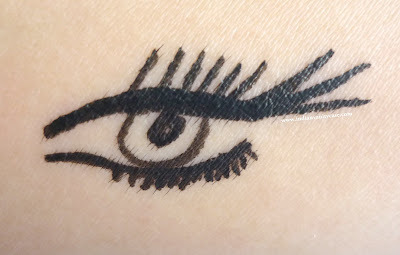 you know what my fav liner is still lakme, the simple one, i mean its so cheap and easy to use once you get the hold of it. I have something similar from Oriflame and though it does smudge or anything it's not waterproof. Any comparison between this and Lakme Eye Artist? 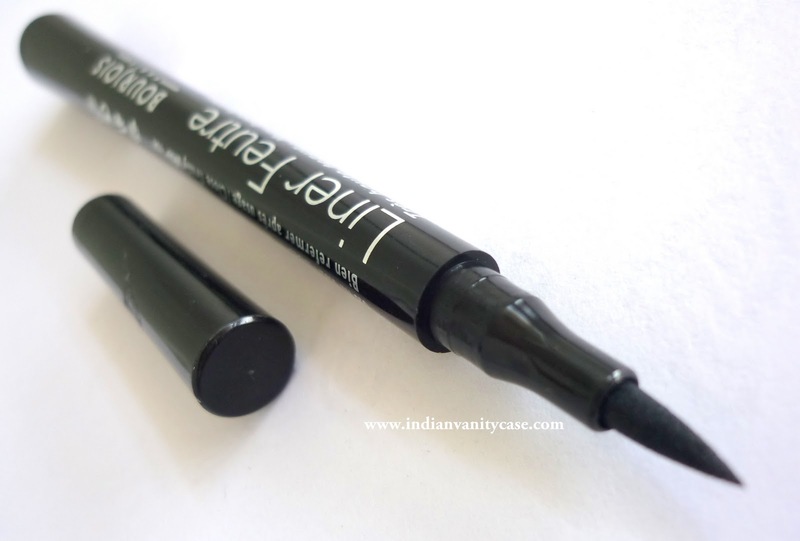 I bought my first felt tip liner, Lakme eye artist lately. I might move onto this soon. Thanks for the review.